July 14th the annual La Fête Nationale celebration in France or Bastille Day as it is mostly known in English-speaking countries is upon us once again and we have another holiday to drink wine to. To quote myself from Bastille Day 2012: let’s drink some French wine! Ventoux AOC (formerly Côtes du Ventoux AOC) is a wine-growing AOC in the southeastern region of the Rhône wine region of France, where the wines are produced in 51 communes of the Vaucluse département along the lower slopes of the Ventoux mountain and at the foot of the Vaucluse Mountains. Archeological discoveries of wine making equipment have dated that wine has been produced in the area at least since around 30 AD. This Grenache, Syrah, Cinsault blend is what I would describe and recommend as a perfect Summer red: light bodied and fruity. Also great for fans of Pinot Noirs and even Beaujolais. 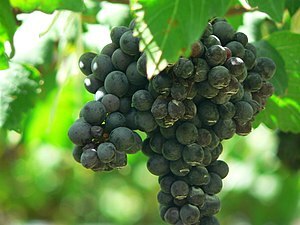 Whole Foods describes it as; aromatic with black fruit, spices and sweet cherry. 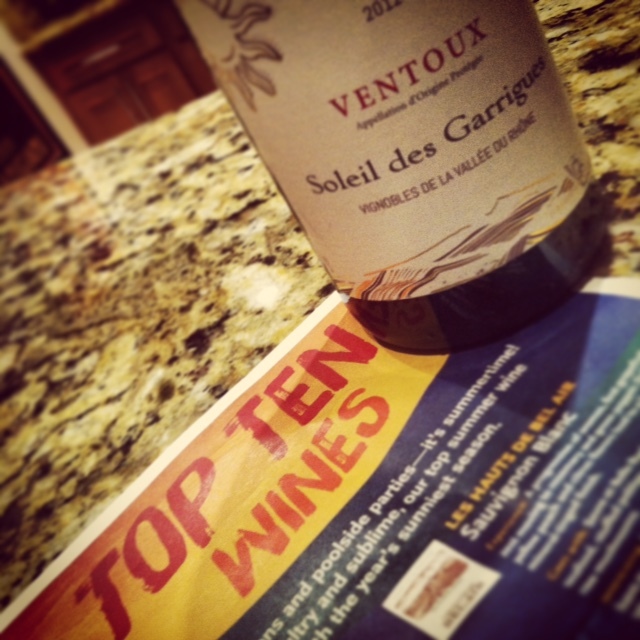 Minerality and sweet anise show in this easy-to-sip Red blend. Soft tannins gently round out the finish. This well-balanced blend of fruit, spice and pepper is a great way to not only celebrate Bastille Day and the warm days ahead but dare I say also a match for upcoming turkey holiday meals. Following through on one of my two official new year resolutions for 2013, I am doing my best not to hoard good wines for future imbibing but enjoying them in the present. After enjoying and writing about California’s Chappallet Cabernet Sauvignon in my last post we cross the ocean to France and their Chateauneuf-Du-Pape appellation. I must admit that this wine has probably been sitting in our cellar for over a year and although aging befits this type of wine it most definitely falls into my STOP HOARDING category. A lovely gift from dear wine loving friends and neighbors, it was an easy decision when considering my ENJOY NOW choices. -The Domaine Chante Cigale has been in family ownership since the 19th century. -“Chante” means singing, and “cigale” is cicada. -The domaine owns 40 hectares of planting area for red grapes and 5 hectares for green [or white] grapes. -Chateauneuf-Du-Pape means New Castle of the Pope, dating back to the 14th century and referring to Pope Clement V.
-This appellation allows an unusual long list of grape varietals, thirteen with as many as 18 listed in the AOC documentation. -Up until the 1920’s wines from Chateauneuf-Du-Pape were blended with others from the general area of Avignon. Between 1929 and 1936 Chateauneuf-Du-Pape became one of France’s first official appellations for wine. Some of you may have noted this designation on the label and or description. At first I couldn’t find much information or reference to Mr. Moriconi at Chante Cigale but as it turns out Alfio Moriconi is the Vice President of European Wine Sales & Imports at Total Wine. His selections are at times noted on the label itself not only because of the large quantities of wine they buy from producers but also to draw attention to the implied quality of his choices. To some degree I see it as a way of private labeling their products and making them available as such only through Total Wine. Pretty good marketing idea when you have that kind of buying power if you ask me. This blend of 60% Grenache, 20% Syrah, 10% Mourvedre, 10% Cinsault was a rich dark burgundy color with some brown when decanted. I was concerned at first because the upper part of the cork practically crumbled at opening due to its dryness, but luckily the lower half stayed together and was a beautiful moist sight to see as it was pulled from the bottle. On the nose I noted this Chateauneuf-Du-Pape was; delicate dark fruit forward and listed examples of fig and guava which may have to do with my tropical background. Spicy and fruity combined. On the palate I detected a tawny dark fruit taste, a bold wine with leather, pepper and herbs coming through and little wood. At 40 minutes I noted this wine had become much smoother with fruit becoming somewhat more delicate and distinguishable. At the 60 minute mark the fruit had come forward even more so with spiciness appreciated on the lingering finish. My last observation on this wine came at the 90 minute mark when I noted: OPEN! And yes in capitals with an exclamation mark 🙂 I can see this medium bodied wine easily being decanted for an hour before being served to better appreciate its various flavors and smooth tannins. We thoroughly enjoyed this wine and now I find myself thinking of a reason to invite our neighbors over again. Not that we need one really since we love sharing new wine discoveries every chance we get. CHEERS to wine loving friends everywhere and ¡SALUD! Warm and Cozy with Trivento’s Amado Sur – Red Blends Continued..
Syrah is the primary (sometimes sole) grape variety used to make the famous red Rhône wines of Côte Rotie and Hermitage and also the component that gives backbone and structure to most Rhône blends, including Chateauneuf du Pape. Although slow to cross the threshold of popular acceptance, syrah became one of California’s most planted varieties around the cusp of the millennial transition. In 1984, there were less than 100 acres, but by 2010, over 19,000 vineyard acres in the state were growing syrah. The Hogue family planted its first vineyard over 25 years ago and soon realized that Washington’s climate and soils had the potential to nurture world-class wines. The Hogue Cellars’ mission has always been to make wines that fulfill the promise of the land, using superior viticulture and winemaking techniques. 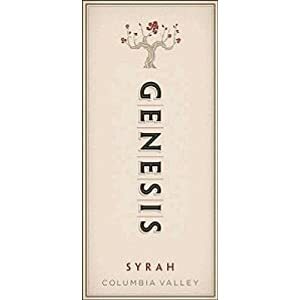 Today, the family’s original vision is celebrated in Genesis wines, which are crafted with the highest quality fruit from acclaimed vineyards throughout Columbia Valley. Washington Syrah exhibits dark, juicy fruit character, brilliant color, a complex varietal gaminess and a relatively low tannin level. I luckily found this wine in our Winn-Dixie grocery store clearance rack; marked down from $16.00 to $7.99. Priced perfectly for experimenting with a varietal I have not often had on its own. That, plus the fact that I enjoy discovering Washington State wines. 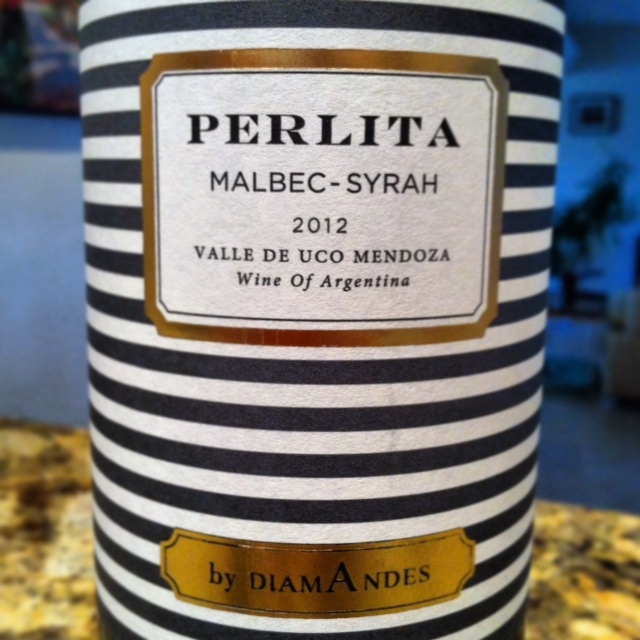 My tasting notes: Beautiful purple hue as it was decanted with black ripe fruit, violet, plum and casis on the nose. Sleek slow legs draped themselves on my tasting chalice. On the palate I noted the addition of cedar, tobacco, cocoa, vanilla and blackberry jam followed by a soft finish. I had expected a fruit forward jammy tasting wine but this one in particular seemed overwhelmed by its time in wood. Decanting and breathing never subsided the effect. Because of this I would describe this wine as too woody for me. Unfortunately the fruitiness of the varietal got lost in the process. Lifted aroma of fresh Raspberry and Black Cherry, underpinned with a softly spiced background. Refined, mouth filling berry fruit flavours are supported with a soft acidity, leading to a long and flavoursome finish to the wine. which was advantageous as March saw a record breaking heat wave strike most of South Eastern Australia. On the nose; jammy, herbaceous [grass, bell pepper], fruity [ripe blackberry, fig, currant, raisin], eucalyptus, dried tobacco, licorice, oak and leather as it opened. On the palate; powerful yet tight, not as fruity as I expected, needing to open but not really doing so as time passed. I noted some softening of the tannins at about 10 minutes but no difference at 30 minutes. In conclusion I would have to say the Jacob’s Creek is a smoother, easier wine to drink. It offers a greater variety of tasting points for the drinker to enjoy compared to the Genesis where it is difficult to get beyond the strong wood scent and taste. The fact that I paid $5.99 for the Jacob’s Creek is also a great selling point. I look forward to comparing it to others in the same price range [such as Yellowtail] and also look forward to trying Syrah’s from other areas of the world. Que Syrah, Shiraz! ¡SALUD!